The theme for this weeks Unplug Your Kids was Thankful. 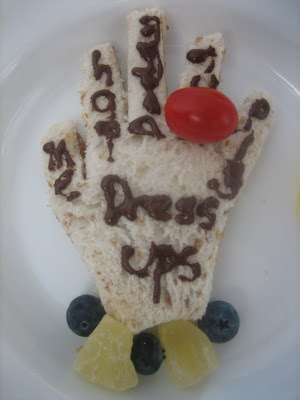 We made a thankful sandwich hand. * Make a hand template by tracing your childs hand on paper and cutting it out. 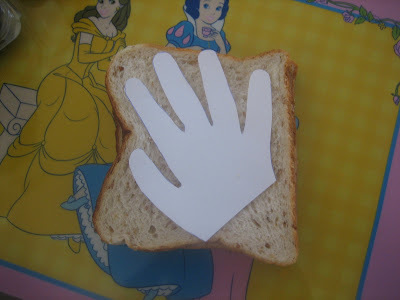 *Make a sandwich and use the template to cut out the hand shape. *We used melted chocolate to write the things Petal was thankful for. She is thankful for: herself, mummy, daddy, her brother, play and dress ups. 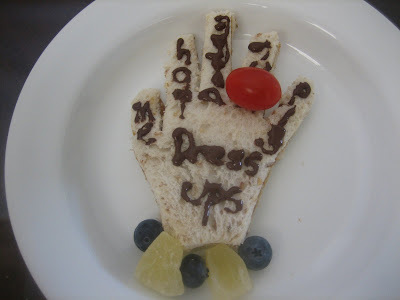 *Decorate the hand with a ring and a bracelet by using whatever you have in your cupboards. We used a cherry tomato for a ring and blueberries and dried pineapple for the bracelet. That's adorable. Not sure my boys would get into it, but I'm sure any little girl would just love it.